In the previous lesson, you have learned that grammatically たら tara sentence has no regulation. But you need to choose the appropriate Japanese conditional form based on the conversational aspect if all 3 conditional forms: と (to), ば (ba) / なら (nara) and たら (tara) sentences are grammatically correct. In this lesson, we'll look at 2 special cases when constructing conditional sentences where you definitely have to use たら tara sentence. For such sentences, you'll notice that they can also be constructed using ば (ba) / なら (nara) sentence grammatically. But for reasons that I'll discuss later, たら tara sentence has to be used invariably. Meaning: If I were a man, I would want to play rugby. According to the rules, you cannot use と (to) sentence because you cannot have expression of personal's hope ～したい (~shitai) in Sentence 2 for と (to) sentence. For ば (ba) / なら (nara) sentence, there are always 2 possibilities: either "if it happens" or "if it doesn't happen", either "if it rains" or "if it doesn't rain". Both possibilities can happen. If your sister says 私は男なら、ラグビーがしたいです。 (watashi wa otoko nara, ragubi- ga shitai desu), it means she has the possibility of becoming a man. However, in reality your sister can never be a man. It's certain that this cannot happen and therefore you cannot use ば (ba) / なら (nara) sentence here. You have to use たら tara sentence. The meaning behind the above example is that your sister is not a man, therefore she cannot play rugby 私は男ではないから、ラグビーができません。 (watashi wa otoko dewanai kara, rugubi- ga dekimasen). But if she is a man, she would want to play rugby. For this kind of assumption which is different from the reality, you have to use たら tara sentence. Meaning: If I were a bird, I would want to fly to Japan. The above example means you have the possibility to become a bird, which is impossible in reality. Therefore you can only use たら tara sentence. Meaning: If I have one million dollar, I'll tour around the world. Meaning: If I have one million dollars, I'll tour around the world. But in reality, it's quite impossible for you to have a million dollars. You are just dreaming. While there's a possibility that you'll have a million dollars in the future, it's impossible (at least) for the moment when you are saying the sentence. Again, the correct way here is to use たら tara sentence. If the condition is definitely going to happen in the future, it's not a conditional sentence anymore. Meaning: If it rains, I'll stay at home. Meaning: If it doesn't rain, I'll play soccer. But if you know that the condition is definitely going to happen in the future, it's not a conditional sentence anymore. In this case, you have to use たら tara sentence. Meaning: When summer vacations comes, I will go to Osaka. All students have summer vacation, so it's definitely coming. In this case it becomes "When summer vacation comes", not "If summer vacation comes". If you were to use ば (ba) / なら (nara) sentence for the above example, 夏休みが来れば、大阪へ行きます。 (natsu yasumi ga kureba, oosaka e ikimasu). This sounds like you are not sure whether summer vacation is coming. If it comes, you will go to Osaka. If it doesn't come, you will do something else. This sounds weird because summer vacation is definitely coming for every student. Let's look at another example. Suppose the time now is 9pm and you are going to bed at 11pm. Meaning: When it's 11pm, I will go to bed. Time is always moving and you know that 11pm is definitely coming in 2 hours' time. So this is not a condition anymore and therefore you have to use たら tara sentence. 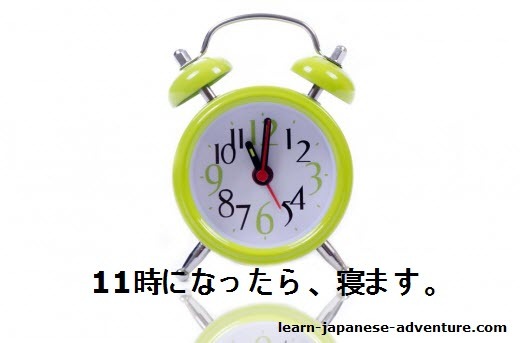 If you say 11時になれば、寝ます。 (juuichi ji ni nareba, nemasu), you don't know if 11pm is coming, which means there is a possibility that 11pm is not coming. Imagine you are 19 years old now and the minimum age in your country that you need to reach in order to get a driving license is 20 years old. You want to get your license once you reach the qualified age. Meaning: When I reach 20 years old, I will get the driving license. You know that we all become older every year and nobody can avoid this. In the above example, you are definitely going to reach 20 years old in the future. 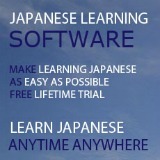 Therefore you have to use たら tara sentence. If you try to use ば (ba) / なら (nara) sentence and say 二十歳になれば、免許を取ります。 (hatachi ni nareba, menkyo wo torimasu), you are not sure whether you will reach 20 years old. That sounds weird and incorrect. In all the above examples, although you can also use ば (ba) / なら (nara) sentence and they are all grammatically correct, the meanings are totally different. Therefore, when the condition is different from the reality and when the condition is definitely going to happen in the future, you have to use たら tara sentence. Lesson 24: と (to) Sentence. 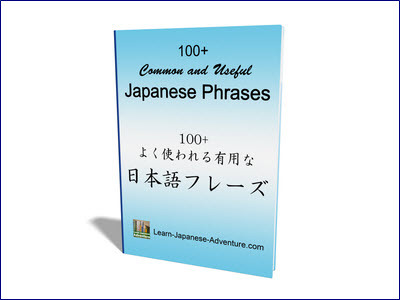 Lesson 26: ば (ba) / なら (nara) Sentence. Lesson 27: たら (tara) Sentence. 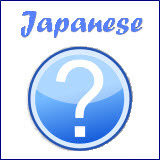 Lesson 33: たら (tara) Sentence for Discovery.